The Duke’s Guide To Correct Behavior, is the first book of the latest series by Megan Frampton…who is a new author to me. 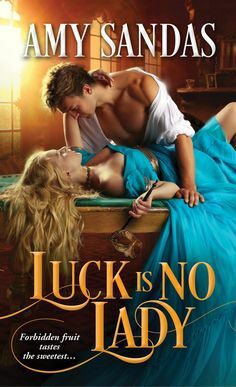 I will say that I was very impressed with this title….it had so much in it that I am looking for in a Regency Historical Romance, and in a solid and balanced story. The first thing that drew me to this story, was the idea of a hired governess. I always love a governess theme to a story, I always have, it’s a style of a story that is so easy to relate with, and I had no problems connecting with the main characters of the story. In this book, we have the hero: the Duke of Rutherford, Marcus is quite the character. I just adored him from page one. At first he appears to be your average rake who loves his drinking and his women and parties. But when he learns that his daughter’s mother, has passed away, and that his child has no one to care for her, he steps in and takes responsibility. The first thing he does is hire a governess, Miss Lily Russell. Lily and her friends are trying to build up a business of governesses, and aiding women that need help. Lily going to work as a governess for a Duke is one sure way to get their business going. Lily feels a attraction the Marcus right away, but she also feels a emotional connection to her charge, a sweet little girl who just needs some loving. There are quite a few things about this book that I really loved. The first thing was the family bond these three seem to form from the get go. There was such a charming tone to this story and the way Lily and Marcus are with each other. Marcus isn’t your normal rake…I just adored him. At first he seems to be a scoundrel, but the moment that his daughter enters his life, his whole outlook changes. Marcus was never supposed to be the Duke, and was always treated as second best. But now he is a Duke, with more power than he knows what to do with. In this story, we a man that is honorable and dedicated fully to his daughter. When he starts to spending more time with Lily, there is desire, but we see a strong emotional side to their relationship form at the same time–which is not your average regency theme in any way. I loved seeing the balance of the plot, and how everything comes together in a perfectly good way. What I also liked was how devoted Marcus is to Lily, and it was quite riveting seeing this story evolve. Overall a charming and sweet romance that won my heart. A story that is a delightful mix of witty characters, a gentle flow to the plot, a book that will pull the reader, and touch their hearts. WELL DONE! !